Since 1978, Brayden Automation Corporation has helped customers lower their electric bills by controlling peak demand and using energy more efficiently. 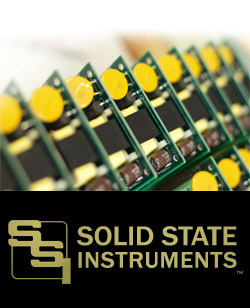 In 2001, BAC acquired Solid State Instruments and has since supplied the highest quality and most reliable pulse isolation products in the industry. At Brayden Automation we strive to provide exceptional customer service, and take pride in being a company uniquely capable of responding to your problems without hassles or delays. The flexibility and versatility of our products allow us to create cost-effective specialized solutions for a wide range of applications. With over 30 years of experience and knowledge, our equipment will out-perform and out-last the competition. If you are ever in need of demand control, load management, powerline carrier, or pulse metering equipment, please contact the experts at Brayden Automation. We’ll ensure you receive the best solution for your application. Below is an overview of our product lines, with links to additional details. 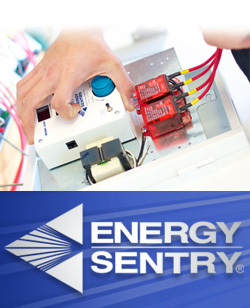 Energy Sentry lowers your electric bill, protects you from high demand charges, and increases your energy efficiency. Energy Sentry demand controllers will automatically manage large non-essential electric loads to lower peak demand. Ideal for buildings with noticible peaks in energy use and homes with a residential demand rate. Solid State Instruments provides the best pulse isolation relays in the industry to protect your electrical equipment from transient damage. We also offer a large selection of specialty pulse products used for providing additional outputs, long distance transmission, “noise” conditioning, and totalizing. 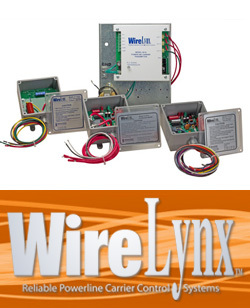 WireLynx powerline carrier products provide a simple, cost effective alternative to rewiring a building for remote load operation. Don't go through the hassle of running additional cable. Our system comes with a transmitter and one or more receivers used to transmit on/off signals through the existing customer-side powerlines.